Learn the general rules of pairing oysters and wine. Read more to find some classic wine recommendations brought to you by Peter Kenseth of Truth In Juice. If you're someone who really wants to drink red wine with oysters, go ahead. Taste is subjective after all. However, I think the experience of pairing red wines with oysters is something that most people can do without. Red wines lack all of the necessary pairing criteria for oysters. 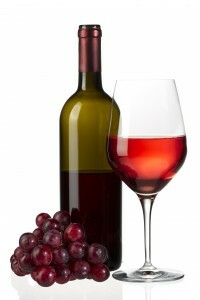 Compared to white wines, they lack acidity, and are also quite tannic. Additionally, many red wines are aged in oak. All of these factors mean that the vast majority of red wines will fail to enhance the taste of your oyster. The minerality and saltiness of the oyster will clash with the red and dark fruit flavors of the wine, ruining them both. In summary, save your reds, and stick to white wines with oysters. For East Coast oysters that have a touch of sweetness to them, try pairing a Champagne (or other sparkling wine) for a real nice treat. The yeastiness and brioche flavors found in most Champagnes will be a nice compliment to the sweetness of the adductor muscle. California sparkling wines, or other sparklers made Methode Champenoise, will also have yeasty, brioche flavors. Be careful with wines like Prosecco, which are often made using the Charmat method. The Charmat method provides bubbles, but doesn't impart that yeasty, toasty, brioche like character. For a quick rundown on sparkling wines, look here. Other wines that will serve as great partners for sweeter East Coast oysters include Chablis, unoaked Chardonnay, Muscadet, and Grüner Veltliner.